Supplies - Welcome to A Child's Light! 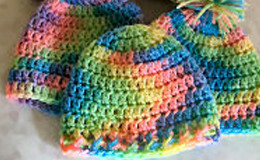 Girl or boy knit and crochet infant cap patterns can be found here. Please do not let the cost of yarn be the reason you don't patricipate! We will reimburse you for the cost of the yarn necessary to make the infant caps. Please ﻿click here to request yarn supplies. Additionally, you may request reimbursement for postage costs. Email ﻿info@childslight.org or mail (address above) your receipt for shipping the infant caps to us and we'll reimburse you for the postage costs incurred!